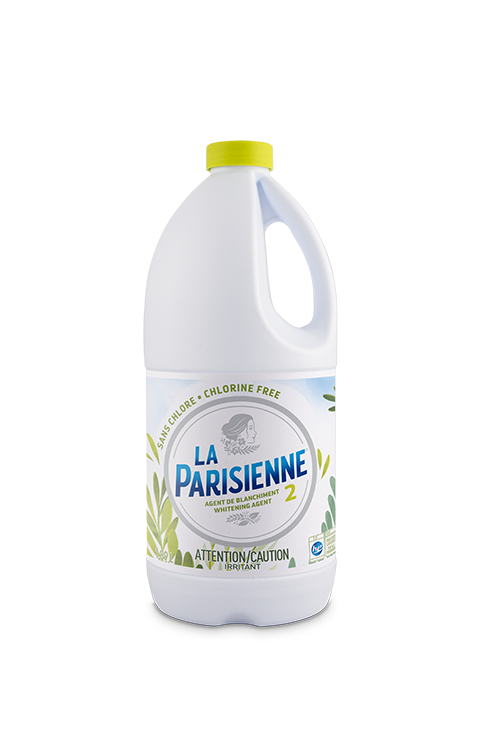 La Parisienne 2 Chlorine-Free Bleach is a eco-friendly alternative to regular bleach. Formulated without chlorine or phosphate, it removes stains and brightens white or coloured fabrics safely, without risk of fading. It leaves fabrics with a light, fresh scent without unpleasant fumes. Compatible with all types of washers (HE or standard). Effective in any temperature, even cold water. Removes stains and brightens fabrics. Test product on a hidden part of the article before use. Follow garment care label washing instructions. Never pour directly on fabrics. For laundry, choose La Parisienne 2 Chlorine-Free Bleach: it’s a eco-friendly alternative to regular bleach. Without chlorine or phosphates.